On the run up to Christmas, or any special event for that matter, hours are spent thinking of what to buy loved ones. Once you have an idea the rest is easy, but that initial time thinking can feel all consuming at some points. If this sounds familiar then heading over to Wicked Uncle will make shopping for all of the children and teenagers in your life so much easier. It isn't like some other gift websites, instead it has various categories you can choose from to help find that perfect gift with ease. These include: boys, girls, ages between baby to teens, adventurer, brainiac, outdoorsy, creativity, chocolate, engineer and sensory. When it came to browsing the Wicked Uncle website I found it really easy to find an array of gifts I know Isabella would love. Firstly, I searched through the 'Girls Age 3' section and came across a wide variety of fun and original products that would make ideal gifts this Christmas. There really is something that would appeal to every toddler, covering creative, role play, musical, sensory, problem solving, outdoors, science, animals, puzzles, gardening and cuddly toys. Isabella is really into creative, problem solving, puzzles and outdoors activities at the moment, so they were the type of gifts I concentrated on. 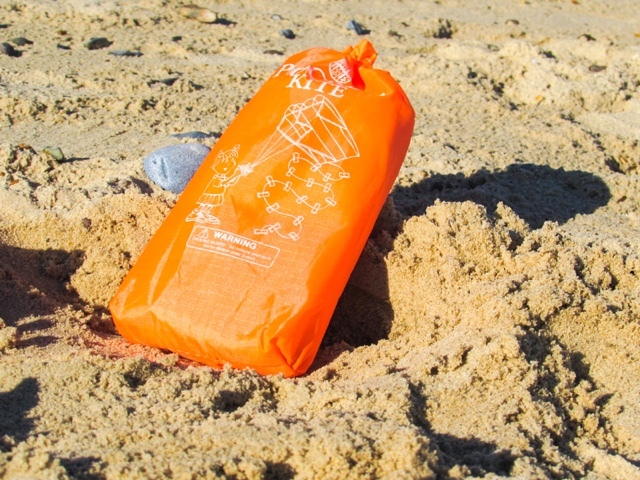 Pocket Kite (£6.99) - I haven't flown a kite since I was a child myself, so what better present to give this Christmas than a kite that can fit in your pocket? 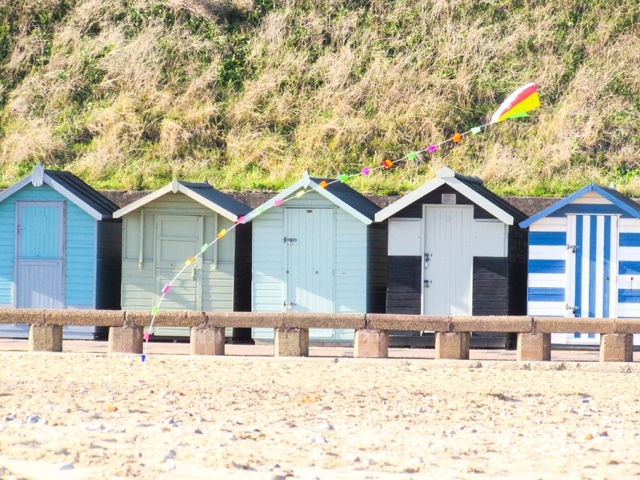 There is so much fun to be had flying a kite and if you're anything like us then you'll probably end up crying with laughter too. 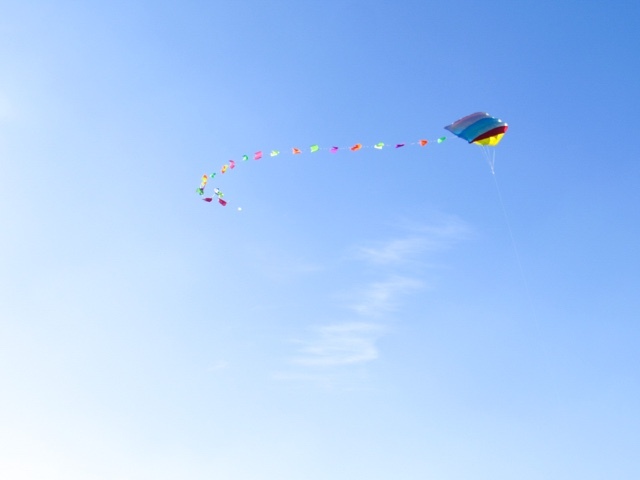 We tried to fly this on a rare day by the seaside, but for once the wind was almost non-existent. 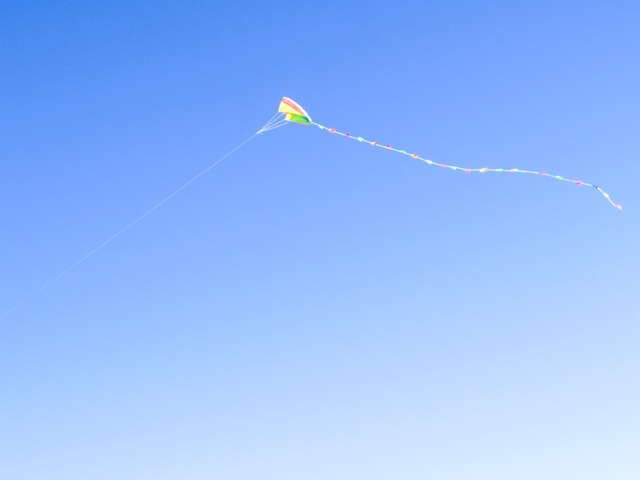 However, we didn't let that deter us and went for the 'run as fast as you can across the beach' approach to get the kite up in the air and it worked! 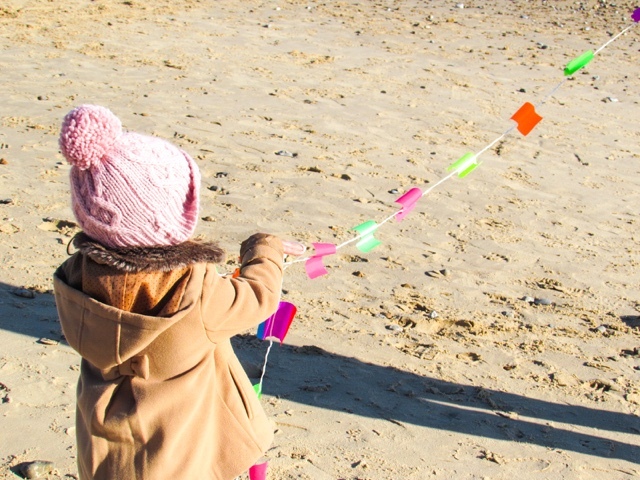 The kite is a really good size with a long colourful tail (tip - if it starts to nose dive when flying it in minimal wind then tie a little stone to the end of the tail and it will stop doing it) and completely fascinated Isabella. She loved watching it fly up into the sky and when she's older she'll be able to hold it by herself too. The handy compact size makes it ideal for taking on days out or fitting into a stocking (hint Father Christmas). 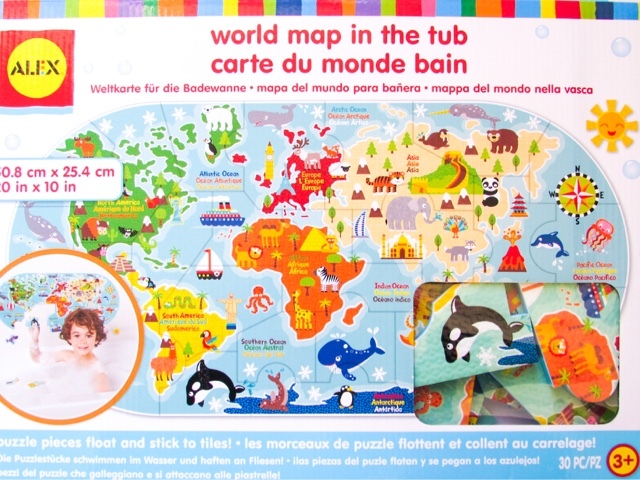 World Map in the Tub (£9.95) - Puzzles are a popular activity choice for toddlers and children alike, so this geography focused one for the bath is a fun twist. 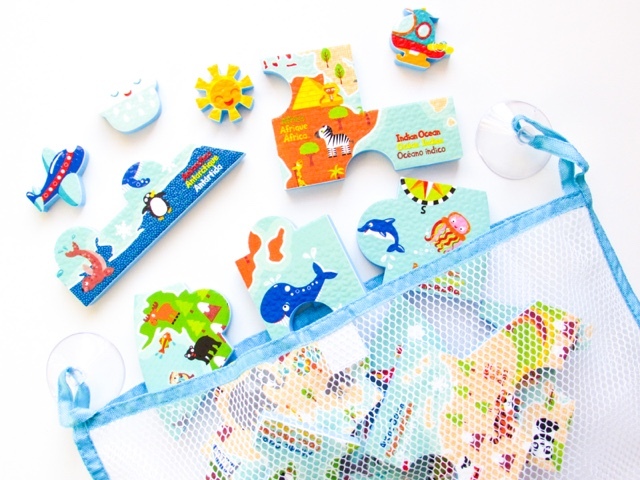 Children can either complete the puzzle while it floats in the bath or when the pieces are stuck to tiles. 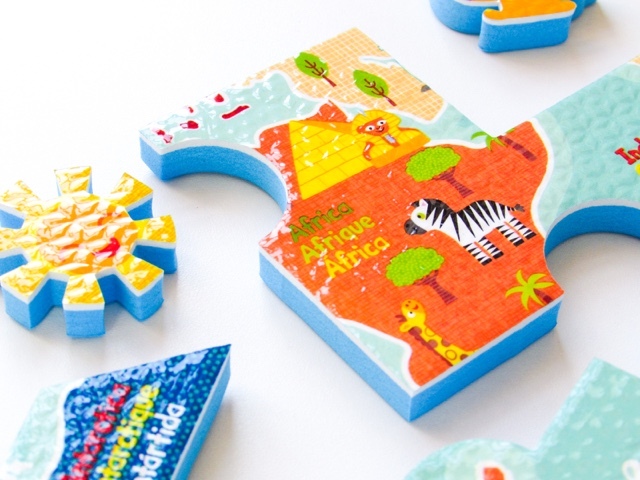 The simplified yet colourful and informative map that is revealed once the puzzle is completed is a really good talking point for younger children and opportunity to learn through play for older ones. I really like that key landmarks and animals can be seen across the map, giving children the chance to learn about other countries/cultures. 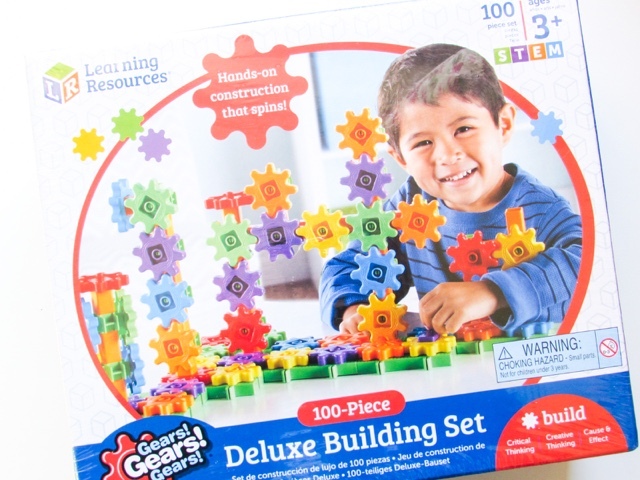 Gears Deluxe Building Set - 100 Pieces (£25.50) - This is the gift for the child who loves problem solving and/or building things. 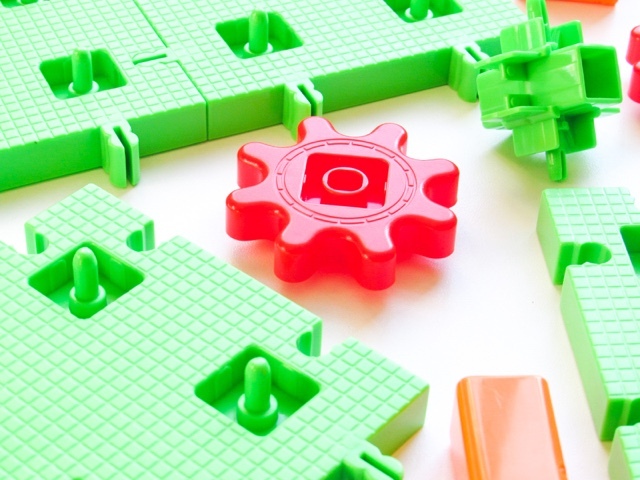 The set contains easy-to-assemble interlocking gears that work together to create spinning constructions full of colour and endless opportunities. Children can either enjoy creating their own structures or follow the included instructions to make a car, caterpillar or zigzag stairs. Once all connected together the handle can be fitted to any of the gears and children will be fascinated to see them all spinning together. Once you have chosen the perfect gifts for the children/teenagers in your life then Wicked Uncle make everything even easier with their gift wrapping service. At the checkout you can choose the add 'Gift Wrap', which will enable you to choose from twelve different wrapping paper designs and enter the child's name. The Gift Wrap service costs an additional £2.95 for the first present and then £1.50 for any subsequent gifts. You can then add a greeting message for free or a greetings card (from 33 different designs) for £1.95. This is such a helpful service for if you need to send the gift directly to the lucky recipient and I really like that there is so much choice available. Wicked Uncle adds that extra touch to make your Christmas shopping easier this year! What is one your little ones Christmas list this year? *I received a voucher to spend on Wicked Uncle in exchange for a review. As always all opinions are my own and 100% honest. I love finding sites like this! It makes Christmas shopping so much easier. Especially the different categories. Nice find! 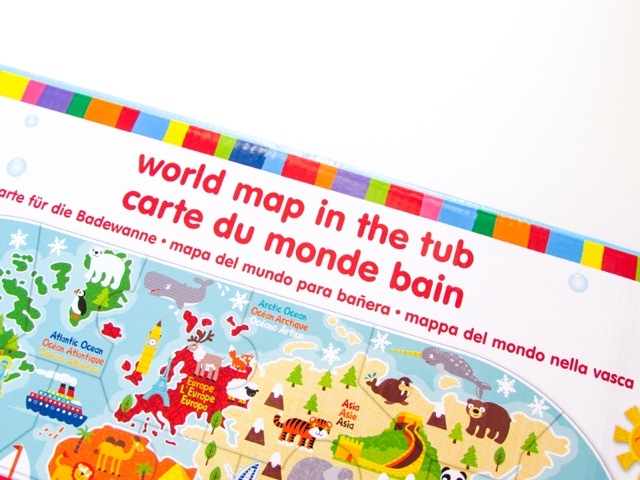 Wicked Uncle is awesome for children's gifts I have bought so many from there - loving the world map bath mat that's super cool! some lovely gifts there, especially love the map in a tub. Kids would have loads of fun playing with that. I really like the gifts on Wicked Uncle and they have some amazing science based products that are difficult to get elsewhere. We had such a great crafty product from them which was perfect for my eldest. It's such a shame they segregate their toys into 'stereotypical boys and girls toys' though. 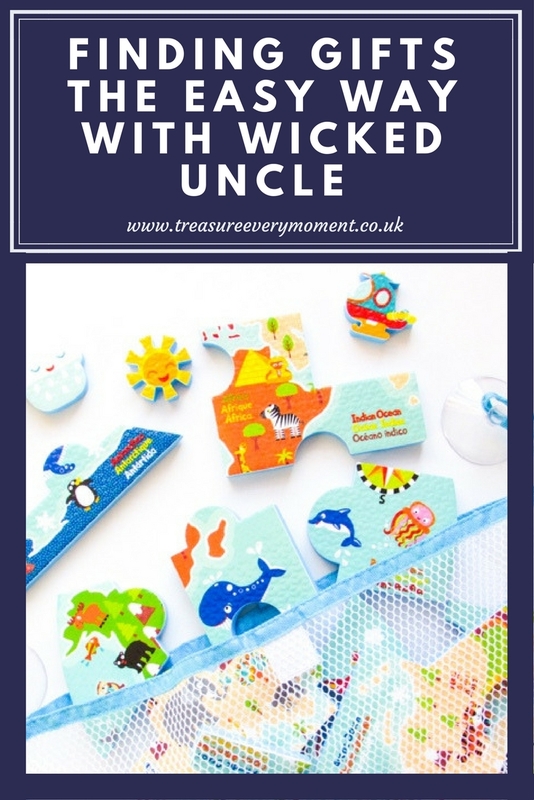 We LOVE wicked uncle, I love that it gives you gift ideas in age ranges, saves so much time trying to think up ideas! 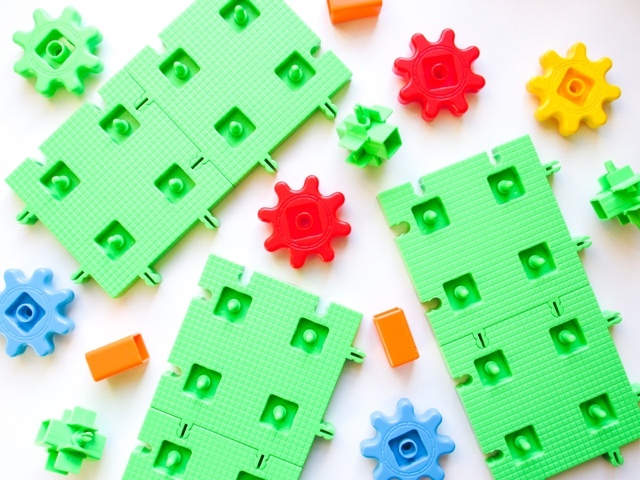 These are perfect gift ideas the kids will enjoy. I'll be adding this to my Christmas gift list! I love Wicked Uncle, so many great gift ideas!